September 15, 2008. No doubt, you remember exactly what you were doing that morning. Our lives changed forever the day Lehman filed bankruptcy. After Lehman, chapter 11 cases have become a trifecta of difficult problems, people, and circumstances. Maybe bankruptcy practice had gotten too easy, or we had all been coasting on a wave for too long. Lehman and the financial meltdown that followed it has been the “Tough Mudder “ of the bankruptcy world. This run of difficult, weird or downright bad cases was a learning experience, forcing bankruptcy lawyers to get smarter, more creative, more effective. Effectiveness is deceiving. It’s not always easy to recognize it when you see it, but it becomes apparent at the end of a case – and afterward. 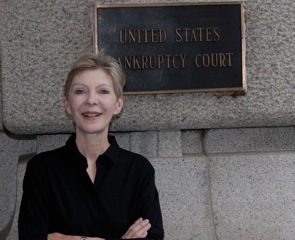 In the years since September, 2008, certain qualities, behaviors, habits, and skills have been shown to be the hallmarks of the most highly effective bankruptcy professionals. These attributes are often overlooked. But, at the end of the day, they are what really matter. No one ever thought you could sell the largest asset in history in a bankruptcy case on three days notice, with no bidding process. No one ever thought you could challenge a sale or the consideration paid, long after the bankruptcy hammer fell. No one, that is, until Lehman. You’ve seen this before: you are in a conference room with a dozen bankruptcy lawyers and financial advisors, and there is this one guy who has an idea everyone else thinks is crazy. The other ten people in the room are yelling at him telling him to go left, and he says, we need to go right. He’s like the holdout on the jury. And then it turns out that “right” is actually right. Highly effective bankruptcy lawyers follow their instincts and close their ears to the voices of other people. Just as, when you’re right you’re right — when you’re wrong you’re wrong. Know when to let go. Don’t be wedded to an idea for the sake of consistency. One fact you may or may not know: Ed Weisfelner smokes. Everyone in this business has learned to compartmentalize the stress of the job – most everyone has a habit or hobby such as going to the gym, running, yoga, reading fiction, etc. But highly effective bankruptcy lawyers compartmentalize immediately – from one conversation or phone call to the next. Most of them have a “mini” habit that allows them to do this. In some cases, it’s not such a good one. Ed – who is known for his ability to compartmentalize – smokes. I would never recommend that anyone smoke (although, admittedly, it works for Ed). It’s imperative to find some safe, unobstrusive way to put each small event of the day in the rear mirror before answering the next call or starting the next task. It’s impossible to make a rational decision when enraged or upset. Learn how to get to calm quickly before you speak or make a decision. Even intense emotion rarely lasts longer than 90 seconds. Most emotional responses are dissipated in about 5-10 seconds. As my mentor Roger Frankel once said, “A good plan filed today is worth more than a perfect plan tomorrow.” What he was referring to, of course, was, any plan filed before the end of the exclusivity period is worth more than one filed after exclusivity has expired. Perfectionism is not your friend. In fact, perfectionism is just the opposite of excellence. Perfectionism is often an excuse for fear of committing to a course of action, a brief, or a document. In the bankruptcy world, perfectionism usually is disastrous. It causes the loss of critical timing and momentum. In the bankruptcy world, timing is everything. I preach this (although, unfortunately, I don’t always follow it): Before you speak, leave a voice message, or hit the send button on that email, ask how you would feel if tomorrow, your words were on the front page of The New York Times. New York, as it is often said, is a small town. The chance that your words will, in fact, make it all over the city’s bankruptcy community, is not completely farfetched. Would you be embarrassed if your parents, favorite judge, or best friend read that email or heard that voice mail? If your words don’t pass “The New York Times” test, keep them to yourself. What lessons have you learned from the post-Lehman years? This entry was posted in Restructuring Blog. Bookmark the permalink. Great commentary! I did not realize you were at Bryan Cave. How long have you been there? I hope all is well. Best wishes for continuing success, and growing wisdom. Thank you Irv! Glad you like the blog. I moved to Bryan Cave two years ago. Hope all is well.